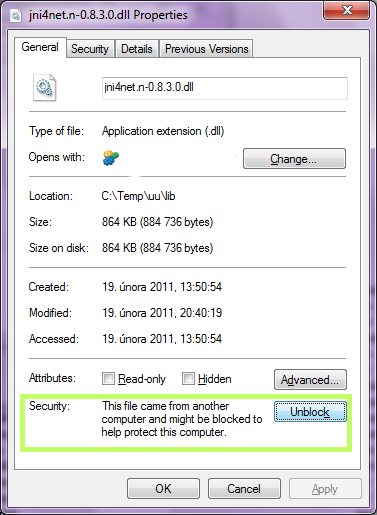 If you download the distribution package on jni4net and unzip it via Windows Explorer, it will set the DLL security zone as untrusted. That will prevent CLR 4.0 from loading the DLL and you will receive exception while initializing jni4net from Java side. You can solve it by unblocking the DLLs. Right-click on the files, open file properties and click unblock button.